Karen’s Killer Book Bench: November Subscriber Giveaway #Winner! Time to announce the NOVEMBER #WINNER of my Monthly Blog Subscriber Giveaway, where special readers can have a read or coffee — two of my favorite things — on me!!! 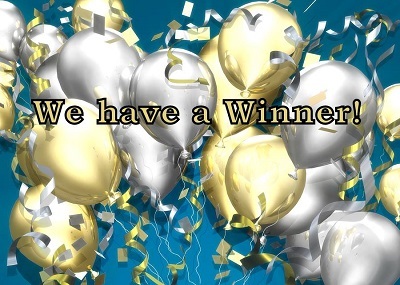 you have won a $5 gift card from Amazon or Starbucks (your choice)! I’ll contact you privately to arrange for delivery of your gift. Readers ~ If you missed this month’s giveaway, you can still subscribe to my blog at http://www.karendocter.com/ to get my blogs delivered straight to your email and be entered EACH MONTH into a random drawing for #FREE $5 gift card. On the first of each month, I’ll draw one name at www.random.org from all of my subscribers to receive the card. More wonderful perks to subscribing to my blog? The blogs, when they appear in your Inbox, are pretty and easy to read. You can discover new authors, recipes and reader fun!